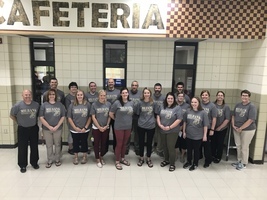 April is Child Protection Month, and in honor of the this, the Grant County Child Protection Team Sponsored and Essay contest for students in grades 3-8. The essay is about a special someone in their lives. Pictured above are our winners and their "someone special" during our meeting at Pizza Ranch! Pictured is Maggie Kruger, 7th grade student. 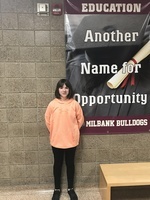 She won our school Geography Bee, qualified for the state competition, and will represent Milbank on March 29th at Northern St. University in Aberdeen. There is a location change for this year's Christmas program. Students will be performing at the high school gymnasium. Kindergarten and 1st grade will perform at 1:00, and 2nd-5th grade will perform at 1:45. Hope to see you there!! 6th Graders all received a copy of Ghost by Jason Reynolds courtesy of Whimsy on Main. Sixty-three Milbank students performed in this year’s program. All K-5 students enjoyed watching the matinee. A big thank you to the Milbank Arts Council for making this possible! Auditions have begun for the Missoula Children’s Theatre. Roles will be announced around 5:15 tonight. Remember, tonight is the only night that rehearsals will be at Koch. Congratulations to our Student of the Month for October! Kindergarten classes visit the Milbank Fire Station. The Milbank Fire Department hosted the kindergarten classes last week. They also visited several classrooms at Koch Elementary to discuss the life changing topic of fire safety. Students and staff began the week with a fire drill involving our local firefighters. Thank you for helping us better understand how we can be safe at home and at school!! Here is a picture of our amazing 2018-2019 Middle School Team!! We have added a lot of school spirit to our facilities this summer! 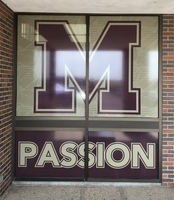 Be sure to notice the Passion window film near the MHS entrance! At Koch Elementary, there are also three computer labs. 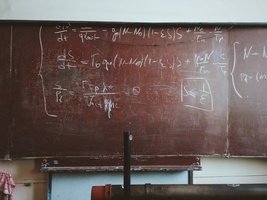 The classrooms utilize laptops, iPads and Chromebook carts throughout the day. 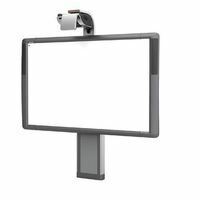 Each one of the classrooms has their own set of iPads which brings a whole new way to learn.